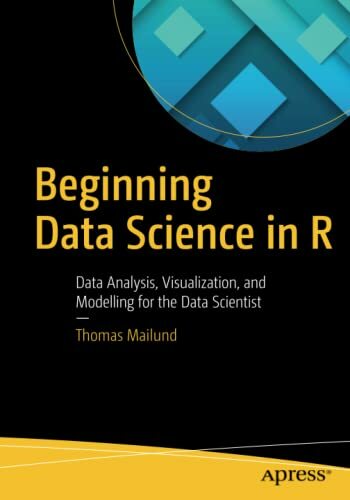 [PDF] Beginning Data Science in R: Data Analysis, Visualization, and Modelling for the Data Scientist | Free eBooks Download - EBOOKEE! Description: Discover best practices for data analysis and software development in R and start on the path to becoming a fully-fledged data scientist. This book teaches you techniques for both data manipulation and visualization and shows you the best way for developing new software packages for R. Beginning Data Science in R details how data science is a combination of statistics, computational science, and machine learning. Youll see how to efficiently structure and mine data to extract useful patterns and build mathematical models. This requires computational methods and programming, and R is an ideal programming language for this. This book is based on a number of lecture notes for classes the author has taught on data science and statistical programming using the R programming language. Modern data analysis requires computational skills and usually a minimum of programming. What You Will Learn Perform data science and analytics using statistics and the R programming language Visualize and explore data, including working with large data sets found in big data Build an R package Test and check your code Practice version control Profile and optimize your code Who This Book Is For Those with some data science or analytics background, but not necessarily experience with the R programming language. No comments for "[PDF] Beginning Data Science in R: Data Analysis, Visualization, and Modelling for the Data Scientist".